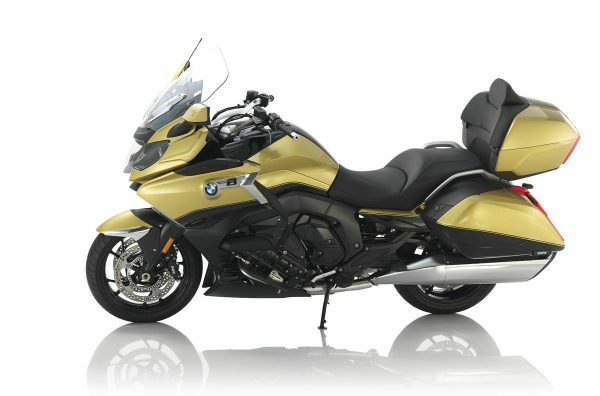 This bagger is made for gliding along. Brimming with presence, the sloping line of the silhouette makes the K 1600 B low and streamlined. The chopped windscreen, striking rear section with LED indicators, and brake lights integrated into the cases define the style. 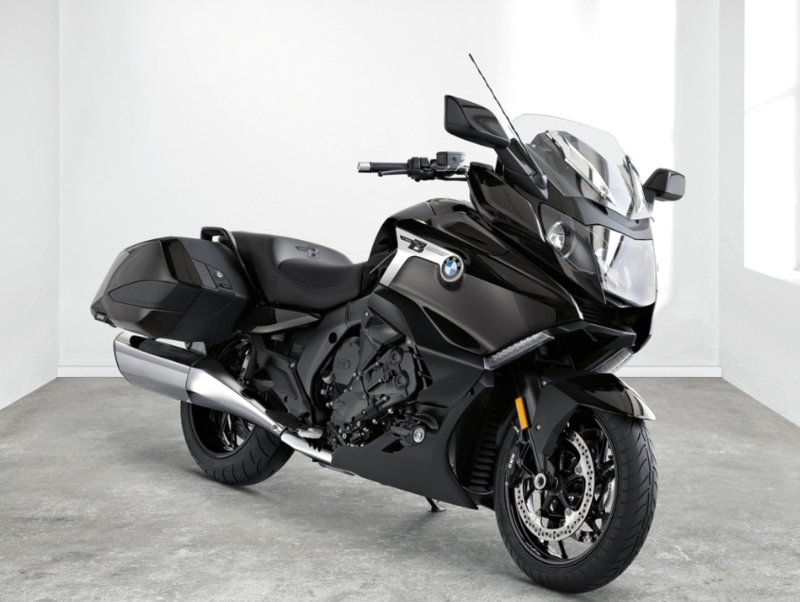 The black 6-cylinder completes the strong character and overall image. 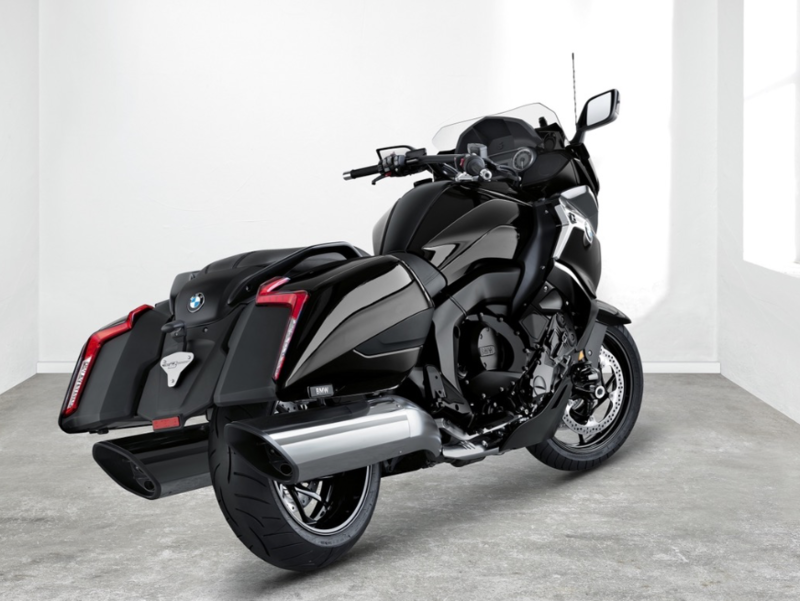 And with the standard tubular handlebars, the Bagger can be easily steered towards the horizon. The 1600 6-cylinder in-line engine ensures the desired dynamics with smooth power delivery that is unmatched. 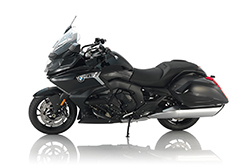 Its 129 lb-ft of torque and 160 hp develop an incomparable and effortless thrust. At 1,500 rpm, 70% of peak torque is already achieved. This means even the smallest movement of your wrist results in impressive acceleration. After arriving at your destination, the Reverse Assist option ensures effortless maneuvering. By choosing Keyless Ride you add another technical highlight that perfectly rounds out the overall package. Floorboards offer a relaxed foot-forward riding position. 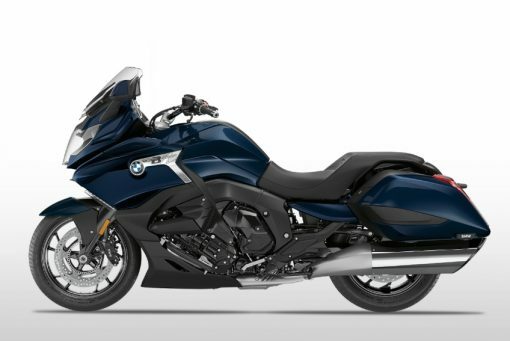 With additional options like the audio system with Satellite Radio and Bluetooth, Hill Start Control Pro, Gear Shift Assist Pro, and Central Locking/Anti-Theft Alarm, you can improve your riding experience in a fully customized way. With a relaxed posture and an unmistakable presence, you are guaranteed to draw looks from your fellow riders. 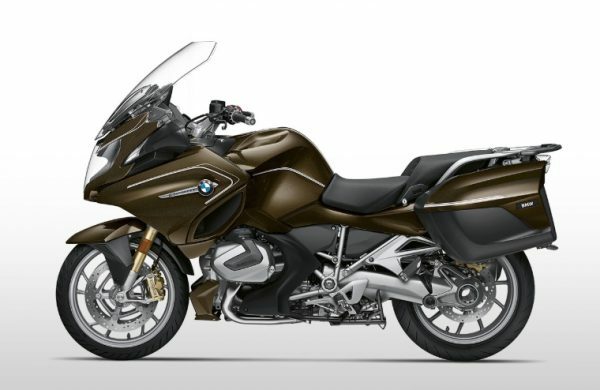 The standard Dynamic ESA significantly increases the first-class riding comfort of the K 1600 B. It ensures the best traction, safety and the highest level of comfort. Dynamic ESA controls the suspension depending on the driving condition and riding maneuvers by automatically adjusting to the detected conditions. In doing so, it ensures significantly improved contact between road and tire, even when in a lean. Enabling riding characteristics which are always stable and an added boost in comfort and safety, especially on long tours. Reverse Assist: effortlessly maneuvering and backing out of parking spaces. Simply reverse. Steep paths and narrow space conditions at popular look-out points or parking spots are no issue with the convenient Reverse Assist. 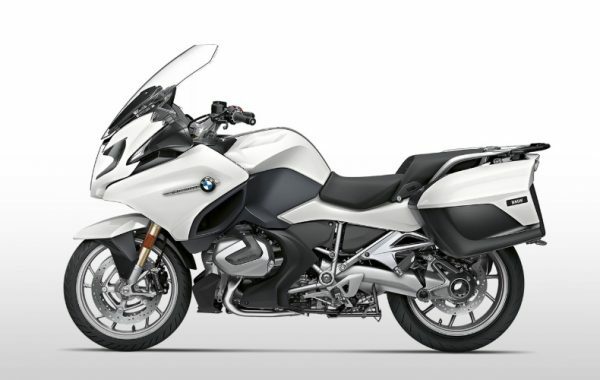 Activate the Reverse Assist reverse assist by putting the bike into neutral and engaging the function using the button on the left handlebar. As soon as the R is shown on the display and started by pressing it, you can glide out of your parking space with ease and get going on to your next destination with ample momentum.